Not to be confused with the Tai Lu people of southern Yunnan, who are also often referred to simply as Lu, the Lu of Guizhou are a small, ethnically distinct people group. The Lu registered their name with the government in the early 1950s for recognition as a minority group. Their application was rejected. Until the mid-1980s they remained a people without any official nationality. 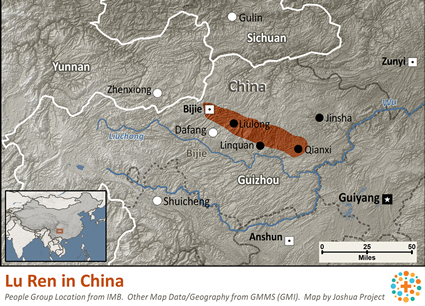 The 1982 census listed the Lu as one of 80 Undetermined Minorities in Guizhou Province alone. These 80 groups totaled more than 900,000 individuals. In 1985, apparently after scholars had further investigated the claims of the Lu, they were placed under the Manchu nationality. Most Manchu live in northeast Chinese, thousands of miles away from the Lu. There are scattered communities of Manchu people throughout all of China, however, resulting from the time when the Manchus founded the Qing Dynasty and ruled China from 1644 to 1911. 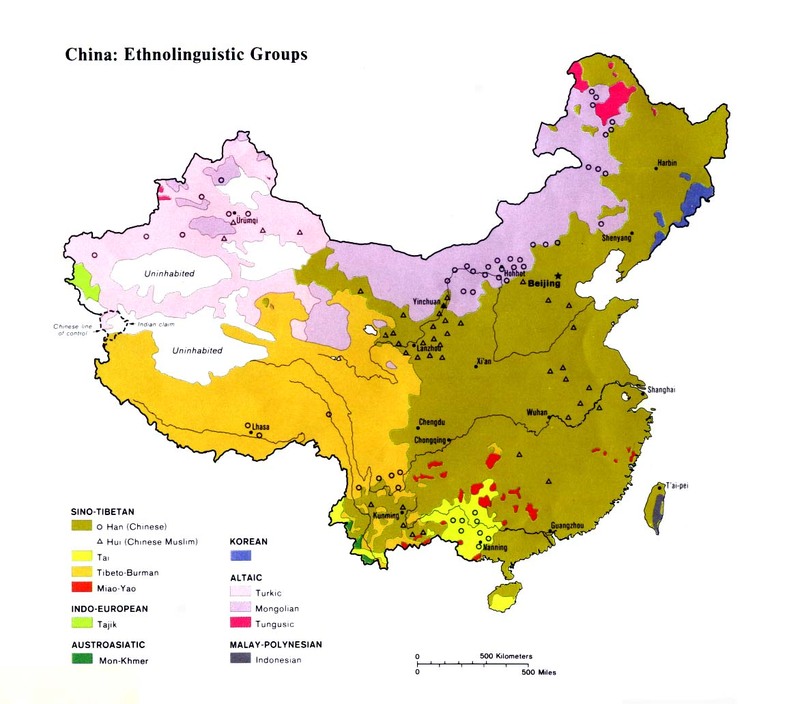 As a result, Manchu people are found in no less than 2,092 of China's 2,369 counties and municipalities. Despite this new classification, the Lu continue to view themselves as a distinct people group. The first recorded mention of the Lu was during the Qing Dynasty (1644-1911), when they were known as the Songjia. Their sudden appearance on the scene in Guizhou indicates they may have been a group of troops and administrators who were sent to Guizhou by the Manchu rulers to represent their interests in the area. 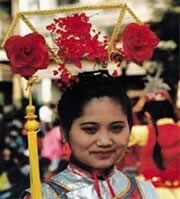 The Lu are also known by the nickname Washing-Bone Miao because of an old custom. The Lu traditionally dug up the bodies of people who had died, washed the bones, wrapped them in white cloth, and reburied them. This practice was repeated once or twice each year for seven years. When a Lu person was sick others would say, "It is because you haven't cleaned your ancestors bones." This practice was forcibly stopped by the Communist authorities. Lu men wear green shirts and baggy trousers. They tie their hair. Lu women wear a one-piece dress. The Lu live under the powerful controlling influence of ancestor worship. They fear that if they do not take care of and pray for the souls of their ancestors, their own souls will be lost in eternity. The Lu regularly offer food and drink to their forefathers and take great care to clean - and worship at - the ancestral altar. The influence of ancestor worship has prevented the Lu from accepting Christ, for to become Christians would be considered a grave offense to the spirits of their forefathers. There are a number of Miao, Han, and Yi believers in the area, but the Lu have little contact with them and prefer to be left alone. View Lu, Lu Ren in all countries. Location in Country: The 1982 Chinese publication Minzu Shibie Wenxian Ziliao Huibian listed a population of 3,000 Lu people living in Dafang, Qianxi, and Bijie counties of Guizhou Province.